Our 2-Step Workshops are designed to get you up and dancing in just one day! You will leave with a solid foundation of the basics and new confidence for success on the social dance floor. The sessions will build upon each other and you can expect to make significant progress over the 4-week series. Country & Western 2-Step is perfect for country dances and up-tempo country music. This is the dance you’ll want to learn for “Stomptown” and other western social dancing. Nightclub 2-Step is another form of 2-Step. It’s a wonderful slow-dance for ballads and other slower music of all genres. 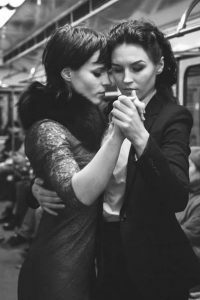 Dance Instruction for the LGBTQ Community and our Friends.